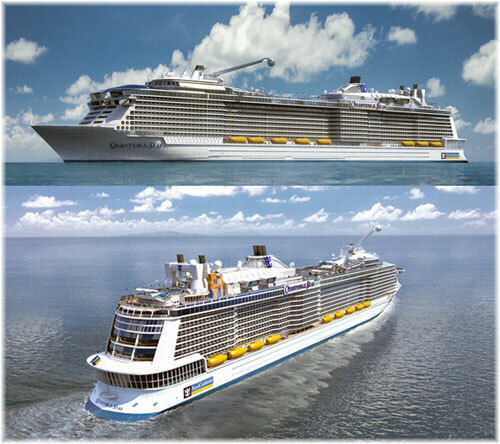 As MSC negotiates with STX France and Fincantieri for its next class of larger, but shorter, and wider cruise ships, we have a look at what shape they might take compared to others. As this month sees eight “Northern Lights” cruises going north from the UK into the ice and snow, we also have a look at those crazy cruisers who like to sail into the cold weather in February and March. 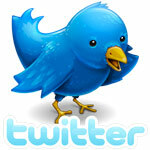 Will it catch on elsewhere? Meanwhile, all three of the “Royal Princess” class ships will be based in Europe in 2015, the new P&O flagship Britannia, the Royal Princess returning to the UK for the first time since her christening last year and the Regal Princess based in Copenhagen. Word has come from MSC Cruises that it is now in negotiation with two shipbuilders, STX France and Fincantieri, for its next “Vista” class of cruise ship, vessels said to be not as long as but wider than the ” Fantasia” class ships, and to have a capacity of more than 4,000 lower berths. The first two of the new class would be for delivery in 2017 and 2019. STX France has built all of the present MSC fleet while Fincantieri, although they have not built any MSC ships, has been used quite extensively for refits. For example, the four “Lirica” class lengthenings are being crafted by Fincantieri’s Palermo shipyard. Adding to STX’s chances of getting the order, however, it has recently negotiated a productivity agreement with its workers that should help to bring building costs down. 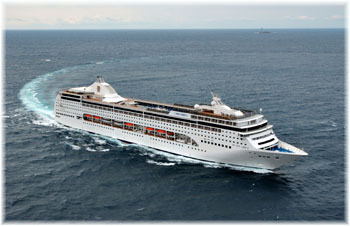 MSC has been quoted as saying that its new class of ships would be wider than the norm. Rather than going longer, this would allow the new ships to enter certain ports, particularly in the Mediterranean, that might not be possible for longer ships. The wider aspect also leads one to wonder whether MSC might be anticipating the introduction of some sort of internal promenade, along the same lines that Royal Caribbean has successfully adapted from Silja Line ferries Silja Serenade and Silja Symphony. With such a promenade it would actually be possible to dedicate a certain area of it to MSC’s “Yacht Club” accommodation. STX France, MSC’s dedicated ship builder to date, is now getting experience in building an internal promenade ship design with its order for the third of the “Oasis” class ships. This will be the first such ship to be built outside Finland, where all nine of these ships have been built so far – four of the “Voyager” class, three of the “Liberty” class and two of the “Oasis” class. 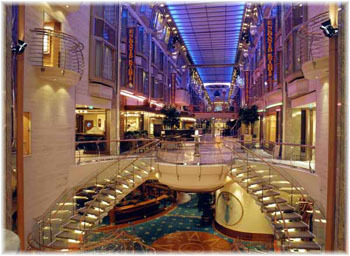 In fact, no cruise line other than Royal Caribbean International, with these three classes, has built any ships with internal promenades. On the other hand, the Quantum of the Seas, which is to enter service this year, is the first Royal Caribbean ship to be built without an internal promenade in ten years, since the Jewel of the Seas in 2004. So whether MSC’s new ships might include one comes down to what it intends to do with the extra width of the hull in the new design. This is pure speculation, of course, but if the new MSC ships were to carry 4,200 passengers in lower beds, they would probably fall into the range of 150,000 tons with dimensions of about 1000 x 140 feet (160 feet will be the maximum for the new locks in the Panama Canal). One might compare them to Polar Bear swimmers or, worse yet, participants in some kind of Murmansk convoy, but it seems that cold weather cruising has at last arrived. Some thought the idea of cruising in the Mediterranean by winter was not so smart, but have been proven quite wrong by new ships equipped with covered pools and based in Europe year-round. The same applies to the Port of New York, which has seen a resurgence of winter cruising, with Norwegian Cruise Line and Royal Caribbean International basing ships there year-round. 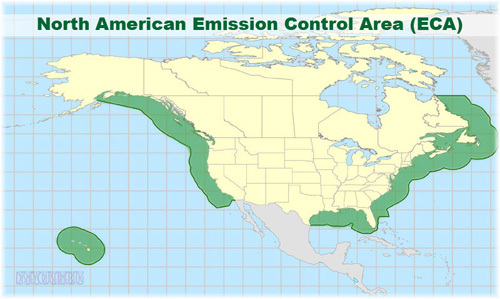 It is possible though that, not to do with reasons of weather, the new North American Emission Control Area might kill New York’s year-round business with its prohibition on burning cheaper heavy fuels within the 200-mile coastal limit. But by moving to Florida, but they would lose their unique selling point of year-round drive-up cruising for Northeasterners. Oriana has this year offered two 12-night cruises from Southampton to Bergen, Stavanger, Tromso, the Norwegian fjords and Alta, where some of the attractions include husky farms, snowmobile safaris, ice hotels and reindeer sledging. 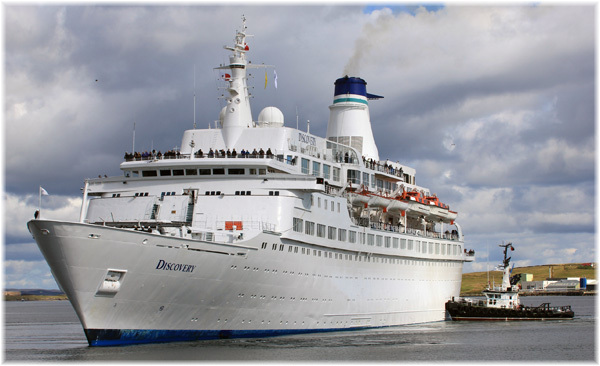 The Oriana will offer two similar cruises in March 2015. While P&O is offering only a couple of cruises, Cruise & Maritime Voyages have this year offered six such cruises, three from Tilbury by the 848-passenger Marco Polo and two from Bristol by the 710-berth Discovery. Tomorrow’s cruise from Bristol will also embark passengers at Liverpool on Wednesday. Caveat emptor, however. 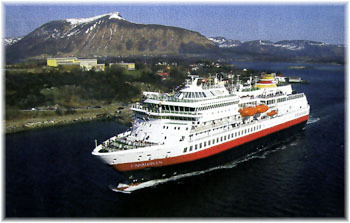 In 2013 the Marco Polo and Discovery each had to cancel a Northern Lights cruise, one for a dry-dock inspection and the other for mechanical reasons. And be warned that the weather can be stormy at that time of year. Fred. Olsen Cruise Lines’ 839-berth Boudicca and Saga Cruises’ 706-berth Saga Sapphire bring the number of ship offering such cruises to five, offering a total of eight “Northern Lights” cruises from UK ports this month alone. The number of UK departures will rise to nine in 2015 with the 804-berth Black Watch joining the Boudicca, the 456-berth Saga Pearl II replacing the Saga Sapphire, but with an extra cruise, and the 556-berth Voyager replacing the Discovery. Other than from Norway itself, there are no such departures from other countries, so either the Brits are mad or, we wonder, might this trend catch on next in Germany? The long-standing operator in this field of course is Hurtigruten, who have been going north every day, except in case of wartime, since 1893. Hurtigruten offers the full 11-night round voyage from Bergen or shorter options, including 4- or 5-night Arctic highlights operating between Tromso and Kirkenes with direct flights from six UK airports. The summer of 2015 will see not only the introduction of the 3,611-berth Britannia, the new P&O flagship and the third ship based on the “Royal Princess” platform, but also the 3,560-berth Royal Princess herself will also be coming to the UK. 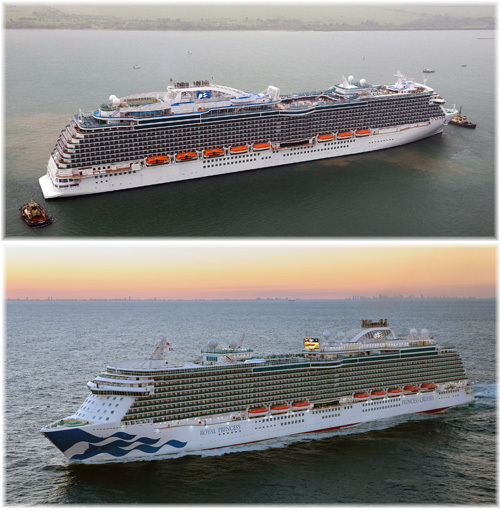 Meanwhile, the third of the Fincantieri-built “Royal Princess” trio, Regal Princess, which enters service this May, will be based in Copenhagen in 2015. So the chance for comparisons will be there, particularly in the UK, which will see one each of the American and British variants of the same design. Externally, the main difference is that P&O’s Britannia will have two funnels not one while the Princess sisters have one funnel and a “SeaWalk” over the sea on the top deck. The Britannia will set out on her maiden voyage will be an Iberia and Western Med cruise setting off from Southampton on March 14 for Gibraltar, Barcelona, Monte Carlo, Civitavecchia, Ajaccio, Cartagena and Cadiz. The Royal Princess, which was christened by the Duchess of Cambridge in June 2013, will return in 2015 to sail from Southampton to the Baltic and also on round-Britain cruises next year. As well as the Britannia and Royal Princess, the 3,114-berth Caribbean Princess will be Princess Cruises’ UK-based ship in 2015, in a season lasting from April through September. According to Princess UK boss Paul Ludlow, 95% of Caribbean Princess passengers are expected to be British, and the entertainment and food will be tailored for the UK market. The smaller 700-berth Ocean Princess will also be based in the UK, in Dover, giving Princess a choice of three ships in the ex-UK market in 2015.